Leasing Available from $34.56 per month! Leasing Available from $46.51 per month! Leasing Available from $62.13 per month! Leasing Available from $52.33 per month! Leasing Available from $68.29 per month! Leasing Available from $76.38 per month! Leasing Available from $67.15 per month! Leasing Available from $71.82 per month! Looking for Tally Dascom T2380 Parts? The Tally Dascom T2365 and T2380 Series are the only printers in their class that supports IMB barcode! Rugged and powerful high speed matrix printer for heavy duty operation under the most extreme conditions. Low running costs and durability in the harshest of print environments, excellent value for the money. Fully automated operation, coupled with the 'straight through' paper path, allows ease of use and virtually eliminates errors caused by user intervention. 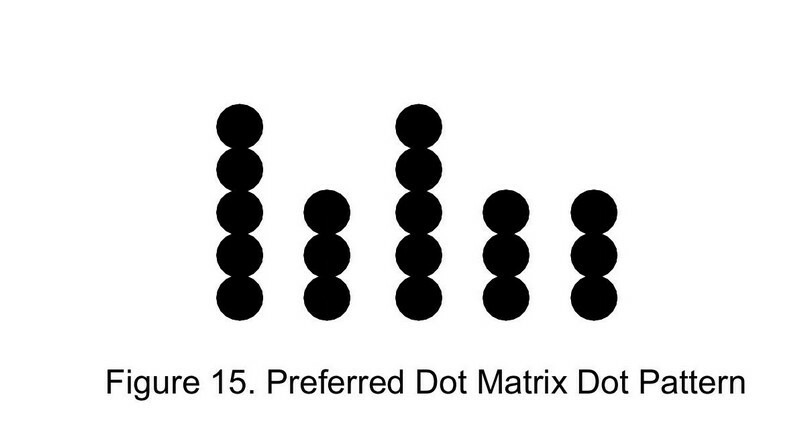 Ideally, dot matrix printing should yield dots that touch or overlap, as shown in Figure 15. If the dots do not touch, the space between the dots should not exceed 0.010 inch, as shown below. Fonts HS Draft, Draft, Copy Draft, Courier, Roman, Sans Serif, Prestige, Script, Orator, Gothic, Souvenir, Kix/Royal, OCR A, OCR B, Intelligent Mail Barcode, 22 Bar Codes & scaleable LCP fonts.